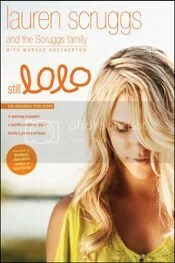 Lauren Scruggs is a fashion journalist and the founder and editor-in-chief of LOLO Magazine, an online lifestyle experience magazine that integrates coverage of the food, fashion, beauty, health, and travel industries. She has served as a contributing editor at MyItThings.com, SMUStyle, and PR Couture. A 2009 Dallas Baptist University graduate, Lauren has worked in the Michael Kors showroom and reported from New York, Paris, and Montreal Fashion Weeks. She was an intern in the fashion department of the television series Gossip Girl. See her magazine at: www.lolomag.com. I remember hearing about the accident that sent Lauren Scruggs to the hospital, I remember thinking how bad I felt for her but I didn’t remember her name except that she was some super model who had been badly injured. Enter the book, Still Lolo, which I have had the chance to devour review through Tyndale – and now I feel like I know so much more than what the news had been reporting for days after. I couldn’t imagine having gone through the injuries that Lauren did – losing my arm, my eye and having a traumatic brain injury. When reading her parent’s account in the book, I welled up with tears, their emotion can through so strong and so poignantly that it felt like I could feel their pain, their emotions – I kept thinking what if it were one of my children? At first I thought this was going to be a book on a woman looking for pity or a family looking for more publicity but it wasn’t that at all – their faith is alive and comes alive. I may not enjoy or understand fashion or understand why others do but Lauren’s passion comes through on the pages of her book. She set the record straight on what happened that night – including the fact that she was not nor has she ever been a supermodel. This book was inspiring and full of hope, if your suffering from a physical deformity or something less visible, Lauren’s story will speak to you, she will show you that you can go on – that there is hope. There were many hurtful words hurled at Lauren in the days after the accident – some assumed she did it on purpose or was messing around with a phone and not paying attention, I too was guilty of this but after having a detailed description of how something like this can happen and has happened before to others, it’s much more understandable how it happened. I have to admit I had the same thoughts hurled at me when I injured myself on my ship in the Navy – it hurts especially when the insults and accusation aren’t true and I’m so glad that Lauren wrote this so that the record can be set straight and others can know of the hope that sustains Lauren and her family. **Disclaimer: I was given a copy of this book from Tyndale in exchange for posting my honest opinion, no other compensation was given. Christian women are often led to believe they were created inferior to men, destined to play a secondary role. Proverbs 31 gets morphed into a judgment, the sole standard against which many feel like frauds or failures. But the Bible has much more to say about women! 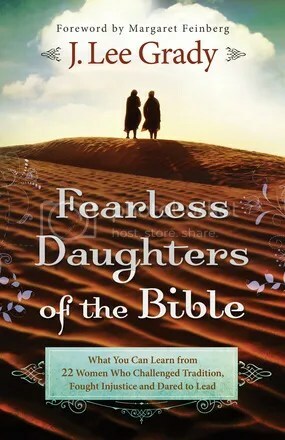 Looking into the lives of 22 mold-breaking women of the Bible, bestselling author and women’s advocate J. Lee Grady shows that God enables His daughters for amazing–even impossible–exploits. Lee also reveals the empowering, often-overlooked gifts God gives each of His daughters–gifts like wisdom, fruitfulness, boldness and leadership. When women accept and use these gifts, they can live the fearless and beautiful lives of purpose God has ordained for them. I was excited to get this book, very excited – I love reading about the women in the Bible who have lived out their faith in God and set the stage for all the women to come. Then my balloon popped and I became very disenchanted with what the author started saying – it seems that those of us who are “evangelical” are twisting Scripture. Women should be ministers of churches, we aren’t supposed to be meek, or quiet tempered because if we are then “a woman who is mousy or timid does not reflect the character of Jesus.” I guess the book description should have set off a few warning bells about how we, Christian women are often led to believe we are inferior – I’d like to know when. The only time I ever felt inferior to a man was when I was feminist (by the way he calls the five daughters of Zelophehad the first feminists because the requested an inheritance since they didn’t have brothers). There was some of this book that was enjoyable and I actually got some out of but most of it felt like I was being berated and un-Biblical because I don’t feel that women need to be loud or be pastors in order to serve the Lord or His Kingdom. He sites some scientific studies and tries to expound on Scripture verses that specially say women should not usurp authority over men and others and says they aren’t saying that but something else entirely different, because Jesus Himself even had women in His ministry. While this is true they weren’t preaching but serving, I’ve never felt inferior because I don’t want to be a pastor – the greatest ministry I have right now is to be at home educating my children and raising them – this book makes it seem as if that isn’t something noble because I should want a ministry – and if I did I should not limit myself to a children’s ministry. I can definitely see where this book would be a great read for a Christian who has been made to feel less than and aligns herself with the feminist mindset – however I’ve never experienced this in any church – the women have always been embraced, loved and treated very well, whether they taught Sunday School or only came to worship, women are a vital part of the church. I feel for the women who have been led astray by a church to feel they are less than a man, we are definitely equal but we have different roles and that is how we were created by our Creator. This was a book promoting feminism but wrapped in a pretty package and under the guise of Christianity. **Disclaimer: I was given a copy of this book from Chosen in exchange for my honest opinion, no other compensation was given. Fern has a green thumb for growing healing herbs, but longs for love to bloom in her life. Then the next-door neighbor’s oldest son, Abram, comes running into Fern’s kitchen seeking help for his little sister. The crisis soon leads to a promise of romance—until mistrust threatens to end the growing attraction. Nearby, Hannah runs her parents’ bed and breakfast, Paradise Inn—but her life feels nothing like Paradise. She longs for a man of integrity to enter her life, but never expected him to knock on the front door looking for a room. Will she be able trust Stephen with her future once she discovers his mysterious past? Three Amish stories—each celebrating love, family, and faith—all taking place in a tight-knit community where the kitchen truly is the heart of the home. Also Includes Reading Group Guide and 45 Old Order Amish Recipes. You don’t have to be Amish to know that life sometimes really does revolve around the kitchen – family gatherings, lunches with children, births…..did I say births well if you want to know more you’ll have to get your own copy of this three in one novella that is written by some of the top authors in Amish fiction. The stories all intertwine to some extent and you’ll feel as if you really know these characters by the end of the book and the whole book just flows with seemingly no breaks, which makes for an enjoyable read (and quick). I have to say though I loved the bit about the lizard, again you’ll have to get the book to know what I’m talking about, but the lizard part just tickeled my funny bone and had me laughing – which then had my family thinking I was perhaps going crazy as well. Seeing the faith, family and love all being lived out by those who may have been dealt a bad hand is wonderfully inspirational and that is what this book is, inspirational. There is some romance but nothing that I wouldn’t not let my oldest daughter read, although she only wants to read the one with the lizard in it! Grab a cup of tea (or coffee) and visit in a Amish kitchen, even if it’s only in your imagination. **Disclaimer: I was provided an e-copy of this book from Booksneeze (Thomas Nelson) in exchange for my honest opinion, no other compensation was given. Ministry can be messy, complicated, and bewildering. Whether responding to the church alarm mysteriously and repeatedly going off in the middle of the night, firing a kitchen assistant with a habit of buying drugs from parishioners, or interacting with the Chicken-Eatin’ Preacher from West Greenville, pastor Deb Richardson-Moore quickly admits that there is a great deal they do not teach you in seminary. In this frank and engaging account of answering a call later in life, Richardson-Moore brings the reader into the world of her work at the Triune Mercy Center in Greenville, South Carolina. The result is an honest look at the complications and difficulties surrounding her first years of ministry to homeless men and women suffering from mental illness, crack addictions, and alcoholism. At the same time, it is a humorous and deeply touching account of God’s grace manifested in the most remarkable of ways, whether in the inadvertent befriending of a mugger or in the unexpected witnessing of an addict tenderly washing another’s wounded foot. 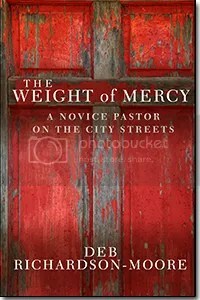 Deb Richardson-Moore is a former journalist, an ordained Baptist minister, and current pastor of the Triune Mercy Center, a non-denominational mission church to the homeless in Greenville, South Carolina. 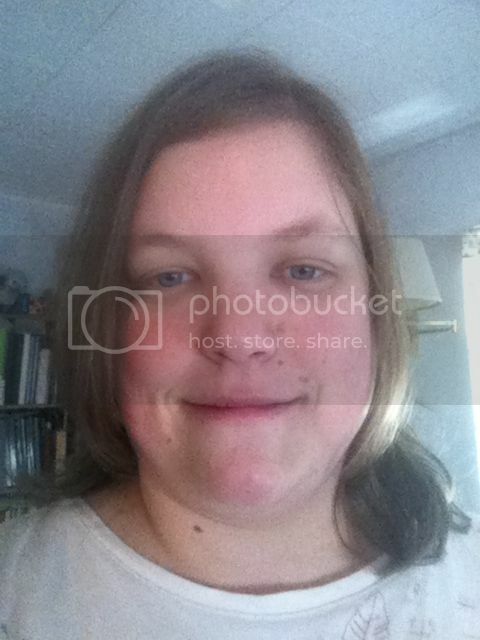 She and her husband, Vince, have three children. I have to admit that I did not realize when I requested this book that the author was the minister in the book – I have no idea how that escaped me but it did. That being said at first when I began this book it seemed that the author, Deb, is upset because there are churches who don’t allow women to preach especially in regards to the Southern Baptist churches. I really had to look over this (I don’t belong to any denomination, so it’s not a denominational issue) and get to the meat of the book – since I don’t feel it’s a position for women to be in and that seemed to be one major hang up in the book. 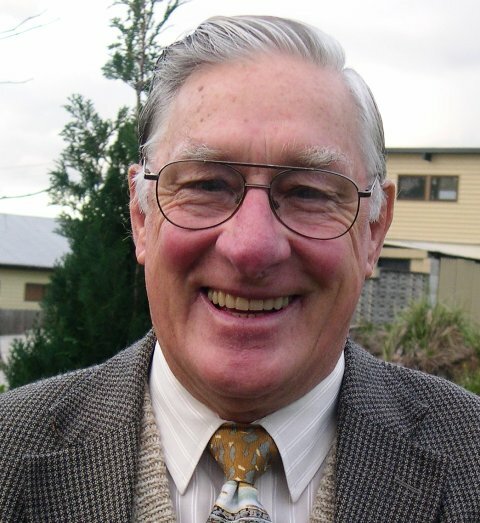 Once the reader gets over that, if it’s an issue for the reader, once you get into what the book is really about – being a pastor on the city streets and your church is not only filled with ‘normal’ people but prostitutes, john’s, druggies and more – it’s trying to help people instead of keeping them in their current state. I shed tears over the couple who were baptized, renounced their former lives, married and then – well I won’t tell you so I don’t ruin the story, but I shed tears over this couple. If you have a heart for those hurting people on the streets this may just open your eyes as to what you’re in for – the author does not beat around the bush even using colorful language – which was something else that I had to ignore as it could have been omitted and still had the effect. I did enjoy this book, if not because of the issues or the occasional use of language this book was a real eye opener, even for a former social worker, in how the streets work and how hard it is to pull yourself out of that even if you want it more than anything. There were a few other issues that I had however the main message about this book isn’t about judging the person’s lifestyle but about getting them to know and have a relationship with Christ in the hopes that they will change their lifestyle to represent their Christian choice. **Disclaimer: I was given a copy of this book from Kregel Publications in exchange for my honest opinion, no other compensation was given. This is a great book – if you want to know my thoughts feel free to search my blog for my review I did earlier this year. So grab your free PDF copy and put it on your favorite e-reader (mine is the Kindle). For one day only, we are giving away free ebook copies of Nephilim the Remnants as a Cyber Monday special! 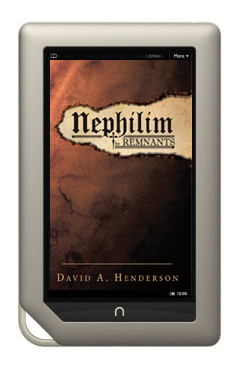 Starting Monday Nov. 26th, 2012 you can download a free copy of the ebook, Nephilim the Remnants, as a PDF file to be used on your Kindle, Nook, or any other e-reader devices. It is also compatible with iphones, ipads, computers, and more. But this special is for one day only! Don’t miss this opportunity to get this amazing ebook written & illustrated by David A. Henderson with over 100 illustrated images of characters, castles, weapons, and more!Not sure what Nephilim the Remnants is about? Here is your chance to find out. We are confident that you will enjoy this book and its compelling story of faith, betrayal, and sacrifice. My children, especially my son, requested I not do any reviews over Thanksgiving so at his request I am not. 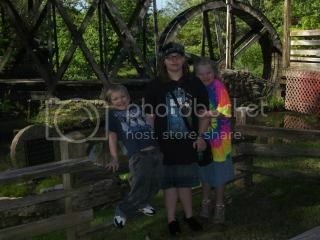 I have much to be thankful for and honoring their requests seems a great way to tell them that I am thankful for them. So tomorrow I’ll be spending time at home cooking a meal with my husband and my children and my mom and one of my brothers will come over. 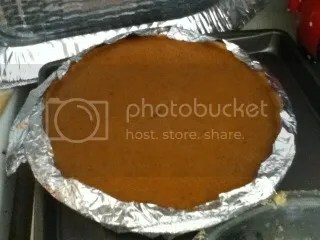 Our pumpkin pie from last year’s Thanksgiving that Hannah made all from scratch (yes, even the crust). Comments Off on Happy Thanksgiving!!! Joanna Kurtz has made several trips to the altar, but never as a bride. The young Amish woman is a closet writer whose stories aren’t her only secret. 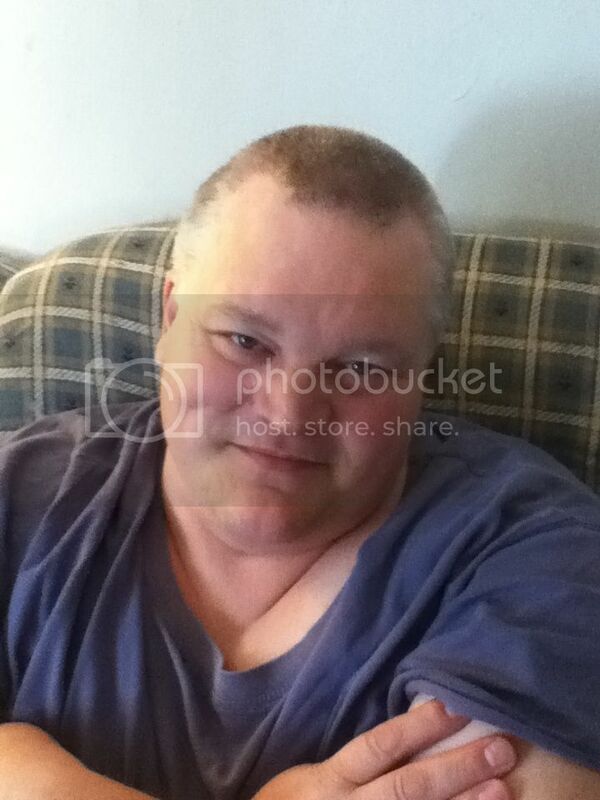 Eben Troyer hopes to make Joanna his bride–if he can ever leave his parents’ farm in Shipshewana, Indiana. Yet Eben’s hopes to build a life with Joanna hinge on his brother’s return from the English world…. Beverly Lewis, one of the top names in Amish fiction has done it again – enter into Hickory Hollow and follow up with some old beloved characters and new ones. I really enjoyed Joanna’s story as her struggles with her sister’s superstitions and her own inner struggle to want to know love but isn’t sure it’s attainable for her like it is for others. Joanna wants to be everything to everyone and like such she must eventually let someone down but of course as we all know, God is always at work and things aren’t always what they seem to our human minds. I stayed engrossed in this book long into the night and finished it the next morning – but I always find myself staying up late to read Beverly’s writings as they are so real as well as making feel that I am right there in Hickory Hollow or wherever – I become a part of the story. I can’t wait till the next one comes out – but don’t worry, these are stand alone and you don’t have to read the one before it, The Fiddler, but I definitely recommend not missing out on coming to Hickory Hollow. **Disclaimer: I was provided a copy of this book from Bethany House in exchange for my honest opinion, no other compensation was given. The last thing April Grace wants is more change in her life—but that’s exactly what she gets! Plus, April has a new mystery to solve when Myra Sue starts sneaking around and acting very suspicious! From snooty new neighbors to starting junior high to getting a new baby brother to having her grandmother get a boyfriend, April Grace has had enough change to last until she is at least 87 years old. But when it rains, it pours, and April Grace is in for the ride of her life when her prissy, citified neighbor Isabel becomes her gym teacher and a long-lost relative suddenly reappears and throws everything into a tizzy. On top of that, April’s sister, Myra Sue, has been hiding something and sneaking around. April needs to find out what is going on before her silly sister gets herself into trouble again. More important, will April find the grace she needs to handle her topsy-turvy life and forgive past wrongs? Girls will fall in love with April’s humor and completely relate to her as she deals with family, friends, drama, and both the humor and the heartache that are part of growing up. I’m not sure where to begin with this review. Honestly, as a mom who is very cautious what her children read and who is also picky what she reads – this book was hard to digest. I couldn’t even see my young self reading this book years ago – maybe because I much preferred the classics to ‘on the grade level’ reading books. I admit there were times in this book I was laughing out loud – like at April’s description of how her Grandma drives – but at other times I was like really? April and her sister, Myra are at each others throats constantly and I do mean constantly – well up until a very climatic ending but I won’t spoil it for you. There is something about books where they are calling each other drip, idiot or telling each other to shut-up, among other antics. Some would argue with me that this is typical sibling rivalry, but I don’t agree and I don’t particularly enjoy reading about siblings who can only fight with each other. I did enjoy the multiple plots going on through the book and how everyone eventually forgives and the issues are solved, including the humor but honestly I could have done without all the fighting. I did let my 10 year old read this along with me and she also shared the same concerns, so before anyone labels me as old fashioned, it was just I who didn’t like the name calling. I think the sibling rivalry could have been done without the name calling on every page and the point would have still been made. I also didn’t like that the parents didn’t seem to be a strong presence – mom was there but she seemed distant, dad was almost never home since he had to work and it just seemed like the sisters were on their own unless one of the Grandma’s or a neighbor was there. I guess I’d say if you think you might let your child read this book, read it for yourself first and make an informed choice. **Disclaimer: I was provided a copy of this book from Booksneeze in exchange for my honest opinion, no other compensation was given. to God to achieve this should make the reader bow in awe and gratitude. 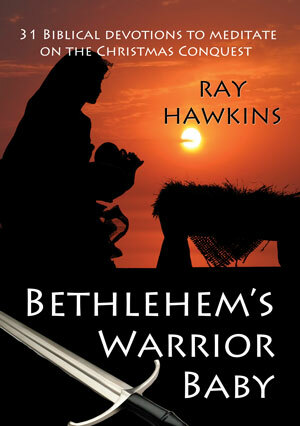 Bethlehem’s Warrior Baby is a nice little devotional that will take you through 31 days of focusing on Christmas, but not in the typical white washed, itty bitty baby way that most of us tend to think of Christmas. One doesn’t often think of the Christ child coming to wage war, we often perceive the birth of the Lord as we see all baby’s born, cute, cuddly and bringing joy. I liked having a new perspective on Christ’s birth – that while He came as a baby, He came to wage a war against death, sin and Satan – for us. With Scripture readings, thoughts on the passage and prayers this book can be used after Thanksgiving and up through Christmas to focus on Christ’s redeeming love. **Disclaimer: I was provided a copy of this book in exchange for my honest opinion, no other compensation was given. I was looking around for a simple to use embroidery pattern for my oldest and I and came across Wild Olive which are embroidery and printable designs by Mollie Johanson. Her Etsy store is very cute and her patterns are very nicely priced – most of her products are $5.00 or under and since they can be re-used, very economical. I requested the Little Owls Bird Mini Embroidery Pattern which is a 3 page PDF document pattern that sells for $2.00 and no shipping since it’s delivered right to your inbox! The three page document has color and instruction tips, pattern and pattern reversed. 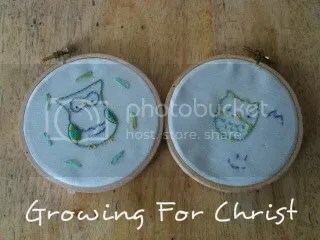 All owls are right around 2 inches tall making it great for a small, learning to embroider project or for an owl lover’s gift that needs quick stitching. Owls that my daughter and I stitched and gifted. Wild Olive has some other patterns that I can’t wait to get and stitch up such as the Nutcracker Sweets, Advent Tinies or her printables and items for Hanukkah. If you have a stitcher in your family or you enjoy it for gifting then you must check out Wild Olive as the store is wonderful with many different motifs. She also is wonderful with customer service, very much on top of getting answers to questions and e-mailing your product quickly to your inbox. Great for the upcoming Christmas and Hanukkah season for a quick and easy gift. **Disclaimer: I was provided an e-copy of the pattern from Wild Olive in exchange for my honest opinion, no other compensation was given.